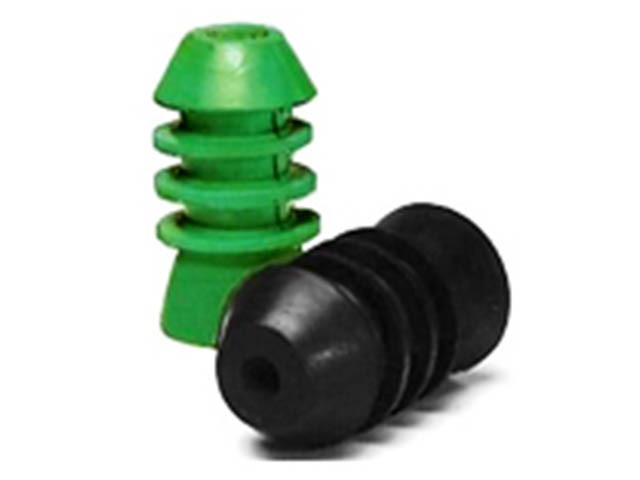 Maloney cementing plugs are are made from high-performance rubber and are specially designed with a positive wiping action to insure clean casing. All rubber components are compounded and manufactured by Maloney to maintain high precision standards. Plugs are available in a wide variety of sizes and stocked for immediate shipment. To order, just specify part number(s) listed on charts. Special sizes available on request. core is made of molded plastic for easy drilling. The tapered base fits the cavity of the bottom plug for a positive seal. A solid rubber top plug is also available. the top of the plug ruptures after the plug is seated allowing cement to flow through. Bottom Plug Casing Size Casing Weight Plug Lenrth Plug O.D.